As energy comes to you it is transpired by the presence of what you currently are within the depths of the self mostly dealt with by means of vibrational understanding or emotional understanding how you’ve written your unconscious and sub-conscious to interact with the energy and assign it tasks or areas within you by means of focused attention then comes to the consciousness to act accordingly with the remainder of energy or not, if not it is still there waiting or pending approval or direction consciously to act or interact by means of yourself desire. So the filtering process becomes that to which you currently inspire yourself as not to be or want to be but as. Things that settled as routine in you so you give direction to it. The changes you make to self systems become the channels open to filter the energy through you, this is why ignoring it, making it consciously unaware is only holding it up and so opening all channels freely lets the energy run through you with the direction and attitude you have towards it. So if someone angrily sends you their energy you react to mirror that energies properties from that person and accordingly re-act consciously in a manner to adhere to the energy outwardly, but if within your strength of self desire transpire the energy to become lighter or softer than before the energy become inspired by a realization that it is better off like this and filtered through you outwardly to become a lighter vibration sustaining you and healing by means of insight and self presence that to which comes to you, the self preserves the self containment as the energy received is only in part of the energy structure you are. The weight of which is not more than the weight capable of copping with so someone with a little bit of anger towards a highly sensitive person will cause the same magnitude of potency inwardly to that of another highly angry person to a person capable of copping with the anger the perception and experience throughout lifetimes i.e. soul experience grows in magnitude to what is plausibly able to cop with. Hence the filtering process is not held or block which is why you learn from life about the emotional relevancies to adhere to the energy, learn from within where it and how it operates so you grow and become greater than previous, being able to handle more potency or broader energy. It is still anger and it is still there so can trip up easily so the best advice is to adhere to it in most part and work occasionally on the minor parts that come about smoothly. It’s how we grow, but its different for every individual in the manner that it is perceived through trends of life or soul experiences, how much is understood by your own feelings or senses to guide and adapt to allow the energy to filter through. Externally this going on everywhere gives weight to group and society energy to be inspired towards a lighter approach less demanding and less restrictive than before which comes across in words as lighter verbal vibrations of words and mannerisms that present the information in calmer more harmless way and as society grows so does countries, continents and planets …etc.. this is also how other external life forms interpret in there way the energy, vibrations and movements that occur for their existence so that given this direction of working with the elements animals become calmer less harmful as do insects or bugs, tree’s and plants resonate a more harmonious feel and vibration to which comes through from the planet doing the same. All life desiring the direction of Universal Peace transpires the energy an all that is to follow suit by its own choice to the desired outcome. Can go the other way though but my conscious choice is towards Universal peace. The more Perceptional understanding inwardly with this you have developed the more understanding or relativities you will encounter and become aware of. The growth of life includes the aspects within the self, developing awareness, perception, belief, emotions, energy structures, physical matter, vibrations, consciousness’s, soul energy …etc… as it evolves and knows it transpires and grows to evolve and know more. Your consciousness grows and knows as it grows and knows, you know this about your own experiences with life as is. The older you get you become more comfortable with things that are. This is why I say that we are doing so much just to be present as ourselves are currently, we are also doing so much more as well on top by means of intentions and the only equation is that we choose which way to go and how to go about it blindly mostly, doesn’t have to be that way. Seeing life this way gives me a greater understanding of occurrences in my life and current occurrences and also inspiring the eventual occurrences so the knowledge and wisdom grows to meet the situations that arise, say again I do not know everything I give an acceptance to everything that comes my way act accordingly hopefully harmlessly (and as I grow more becomes harmless, now most is harmless that comes through my mannerism and presence), and then letting it go as its left the building so to speak so that it can then transpire another and onward, adjusting itself as it goes. The website therefore is only a representation of the conscious relativities of the thoughts from the emotions of the interpretation of vibrations to the energy in contact or within me. 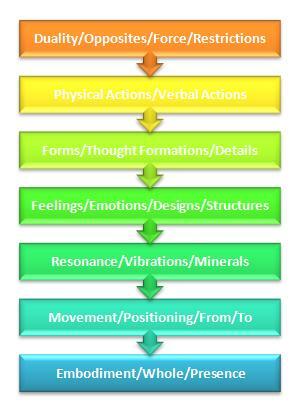 It is just a small layer that is represent but a broad understanding given so that the individual reading it can integrate it within themselves and comprehend it towards there own awareness’s, perceptions, belief and conscious reality and so in turn it is important to see how another transpires the information and returns there input of what is to evolve the energy between us. This is why laughing is infectious so that we desire mostly to inspire laughter as it feels good so another laughing becomes present as a desire to laugh. The relativity of this all relates to all ever conceived as it create the light links to come about into conscious reality as a thought or feeling, kind of defies common knowledge of space though, but there again words are representative of Perceptional belief and inspired by means of weight of others by interaction at any area be it verbal, thoughtful, emotional, vibrational as it already is there and we just read and perceive it our way. 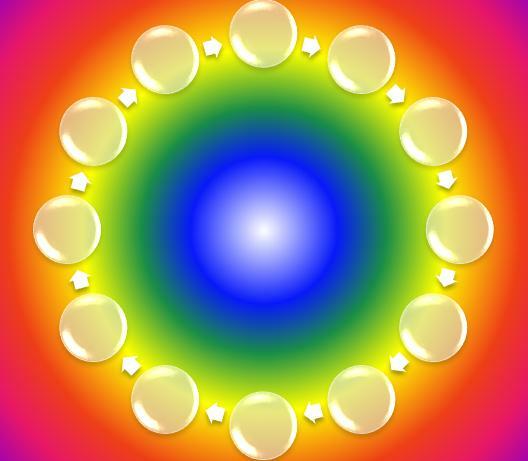 The other aspects externally is that all parts of the energies are represented whereby all emotional aspects are present and real and all vibrational aspects and all energy aspects which is why there is so much diversity to bring about a physical awareness of the bits of the energies present as a whole. Another reason to listen and learn from others as it helps to adhere to a more whole picture integrated within the self. As you grow and evolve they grow and evolve, assisting humanities development.